The so called ‘targeted’ actually failed to materialised. I like MQA. I like the way it sounds, but I’m under no illusion as to what it really ‘is’. And I’m happy to support it. Why? Because it may get people interested in listening to high-quality sound, rather than MP3. I don’t reading WHAT HI•FI Or other Website Magazine’s, I just think what the article was funny, Okay! But I have been comparing TIDAL and Qobuz for some time now and I don’t think Qobuz Hi-Res is worth the money! Since it’s “almost” cost me double the price, I’m paying for TIDAL! I also like the TIDAL Master’s Or MQA sounds a lot! So I don’t have to compare TIDAL Master’s and Qobuz Hi-Res anymore, I will continue to enjoy the sound of MQA! I always have the 16/44.1 CD’s if I want to listen, to something else! So Roon and TIDAL is my choice. Give it time. ‘Slowly, slowly, catchy monkey’. Absolutely no problem with that. Did I say anything about whether you can hear a difference? I only said that I cannot with my system. Have you listened with my system and my ears? Am I not listening hard enough? I would say it is the same with nearly all differences in details. You need to train yourself as to what to listen for. Same with video compression artifacts. I can see these all the time as I know what to look for (that fuzzy halo around framed moving objects that are tracked by the camera and with the background scrolling by the frame). It is the same with MQA. Incorrect timbre on transients. Piano, guitar are pretty obvious. Once I figured out what to listen for - it suddenly became easy to identify MQA distortion. You don’t need a highly resolving system although that always helps. Of course each track has varying degrees of quality - so an A to B comparison is needed to identify the MQA and non-MQA track but points 1 and 2 show up with almost 100% reliability because the distortion from MQA always has the same character. Good God, Life is too short… The soundstage on my system is amazing and instruments sound ‘Real’ with MQA. I can’t spend my time AB listening as it’s hardly valid in any case. I just want to enjoy my music and MQA just sounds fuller, smoother, cleaner, nicer, complete. Best you look at your system then, IMO. Listening to MQA, via a Lumin A1 feeding a Linn ‘Aktiv’ system, there is no distortion whatsoever when playing MQA. As I said, the first stop would be to look at your system. You have an awesome system. So does Chris. I don’t think that could be the issue. Terminology perhaps. What I clearly hear as added distortion is a coloration that you both enjoy and like. To me it isn’t bad distortion but it is simply less accurate with regard to timbre and soundstage. I use ATC SCM 150 active speakers and several sources like Benchmark, PS Audio and McIntosh. 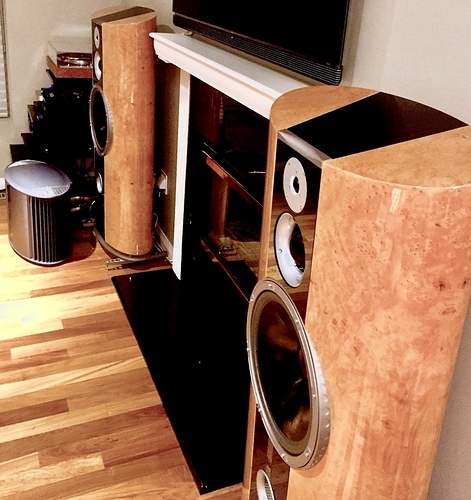 Speakers are just a pretty version of what Pink Floyd, Diana Krall, Sting, Mark Knopfler, Jack White, Skrillex, Deadmau5 and many other artists and countless studios and audio engineers use. The speakers easily reveal microscopic differences in distortion but as I have indicated above MQA distortion is still audible on practically any setup. What did DCS do with the filters? Did they actually fix all the problems? Any articles about the fixes they felt were necessary? So, reading between the lines as you have to do with the audiophile trade publications, darko is saying that dCS were not going to allow MQA’s high IM min phase filtering scheme mess up their uber priced and uber sounding DACs. Perfect. That is where it belongs. The lo-fi mass market. It is probably the area that the labels would like to sneak in DRM most of all. Well, MQA marketing has been a multi-front affair. They tell the labels that theirs is the DRM solution they are looking for and they bought it up (quite literally - each of the big 3 each have a 15% share of MQA Ltd.). They told audiophiles that MQA was a birth of a new world SQ tweak, and of course many of them can “hear” exactly that. They told mid/low fi manufactures that MQA was a feature checkbox they had to have to compete, like bluetooth or Dolby or fill_in_the_blank. I have been pleasantly surprised that their success here has been partial at best, which indicates to me that most saw that the mid/low fi market is perfectly happy with 320 or low MP3/AAC and that they do not need to $MQA$. The soundstage and/or instrument separation, what’s the word, “enhancement” positively or “f&%$ery” negatively, is an oft reported aspect of the sound quality of MQA by those with a bit of experience and reliability in these things (i.e. those who don’t simply say “it’s glorious” ). This also of course applies only when comparing apples to apples masters - again, something most subjective reports don’t even bother to mention. The question is what is the cause? Is it something intentional by MQA? Most note that the HF digititus and IM distortion that is a product of the folding process and MQA’s particulate filters is the most likely cause. Others note the increased db of MQA and wonder if MQA is not “enhancing” the left/right stereo separation. do you find the room and speaker placement affect the source differently depending on the type of file? No, that’s why I wrote “with MQA and any other format”. Please share your equipment and set up. You obviously have something valuable to add here. Please share your equipment and set up. You obviously have something valuable to add here. I agree that room and speaker placement will indeed be critical for soundstage. A big factor. However wouldn’t this factor affect MQA or non-MQA music equally? Or do you find the room and speaker placement affect the source differently depending on the type of file? 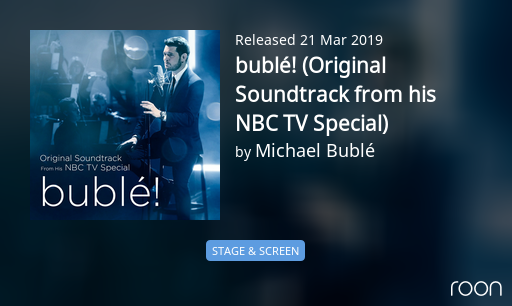 I just streamed a couple of tracks from Michael Bublé only to find its MQA 48k Studio. “Extremely unorthodox (to put it mildly)”, if that isn’t the strongest statement I have ever seen here it has to be close. So what is your setup - pics please? What equipment? It is not bragging of you to show how it really should be done when you clearly know more than others here about proper setup. I was asked about my setup and I shared willingly - open to all of you to throw your rocks at. This is all part of a constructive discussion - or isn’t that your intention? After all I think, by your comment, we are all led to believe you have experience and an extremely good and orthodox setup or at least something close to it? I’ve got Wilson System 8s, lined up with a laser, heads tilt tuned, distance “optimal”. AR Ref 75SE. Various sources. Room immoderately lively, various traps. Great speakers! No doubt a fantastic setup.